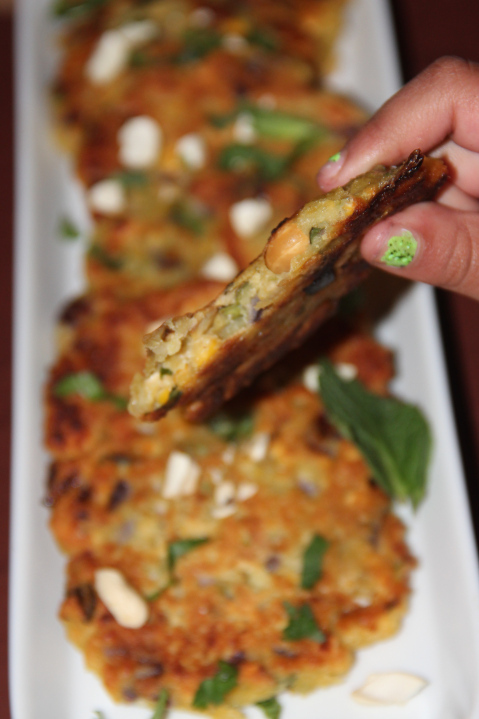 These fritters loaded with split pea, cashew they are just bursting with flavours!! Cashew and peas have always been a favorite of mine, and they pair perfectly with mint and slightly crispy by addition of rice flour. They are nice served warm but even better if served straight from the pan, piping hot! It can be served as it is with just a little fresh lemon juice squeezed over top or tastes great when served with your favourite dips or can also be served as a side dish or can be enjoyed as an evening snack with tea or coffee.